Booksellers in more than 50 countries can be found on the AbeBooks marketplace. Thousands of easy-to-find bookshops are concentrated in the great cities of the world - London, New York, Paris, Los Angeles, Sydney and Berlin ï¿½ but there are also countless sellers located in places that take some finding. Remote islands, tiny villages, small towns that are barely a speck on the map and locations so isolated that they don't even count as a hamlet. Enjoy our selection of bookshops off the beaten track. Location: 221 miles from Anchorage. A 52-hour drive of 2,485 miles from Seattle, WA. Andrew Wills opened the Old Inlet Bookshop in December 1997. "It gave me a good excuse not to go commercial fishing in the winter and I also wanted to give something back to this community I had grown to love," he said. 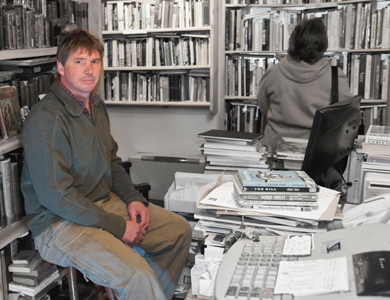 "I came from the east coast in 1982 and am a third generation bookseller. My Mom still owns and operates the Lord Randall Bookshop in Marshfield, Massachusetts, and my Dad still scouts for me back there. 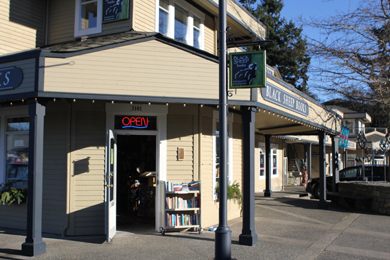 The bookshop moved to its current location on Main Street in 2004. Kachemak Bay is a few hundred yards away. We also have the Mermaid Cafe and a B&B in the same building. "Homer has a population of around 5,000 but around 15,000 people use the town and call it home. It is very scenic with mountains and five glaciers across the bay. It booms with visitors in the summer but gets really quiet in the winter. I think this bookshop is the furthest west bookshop in North America (on the road system.) You can drive or fly south from Anchorage or arrive by boat. "We specialize in Alaskana, Arctic, nautical and literature but we are a general shop and stock most genres with the exception of romance. We get a lot of folks in the summer, less in the shoulder season, and they are few and far between in the winter months. The reasons I started the shop are varied. To not feel obligated to go crabbing in the Bering Sea in January factored in." Location: 60 miles from Cardiff and a 4-hour, 206-mile drive from London. Self-styled as the most unusual bookshop in Wales, Pendleburyï¿½s is literally on a hillside in the middle of nowhere. Google Maps struggles with this location. Set in a three-acre garden in a forest in the foothills of the Cambrian Mountains, the shop is housed in converted 17th century stone barns. The hamlet of Porthyrhyd is one mile from the A482 which runs between Lampeter and Llanwrda. Visitors are welcome Monday to Saturday and they will be greeted by John Pendlebury and his dog, a white German shepherd, called Holly. 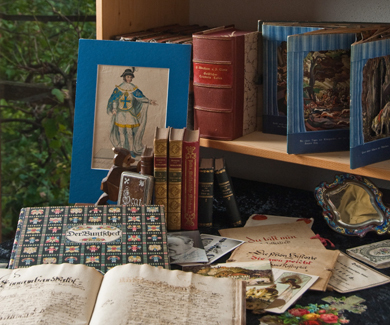 "Our stock covers general secondhand and antiquarian books with many gardening and botanical titles dating from 1600 onwards," said John. 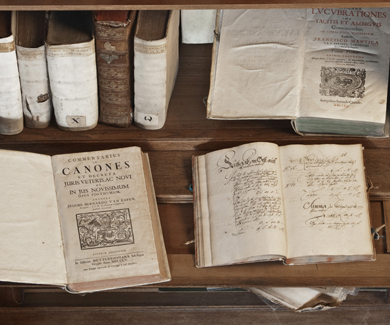 "We also maintain a stock of about 18,000 theological, philosophical and related academic material. 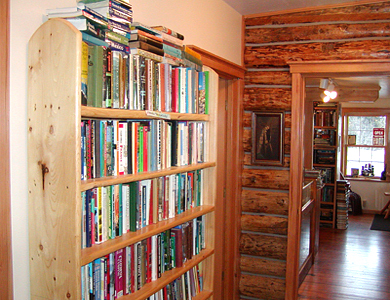 If you donï¿½t buy a book then you can always go away with some eggs from our hens." 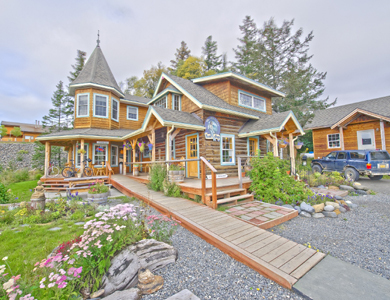 Location: 90 kilometers from Vancouver, including a ferry ride. Located in the village of Ganges, this bookshop spans two floors and has a broad selection of rare books and general reading material. To reach Salt Spring Island, you need to take a ferry from the mainland or from Vancouver Island, or fly over in a floatplane. If you have a boat, it's possible to sail into Ganges harbor, moor up, stroll 50 yards and be in the bookstore. 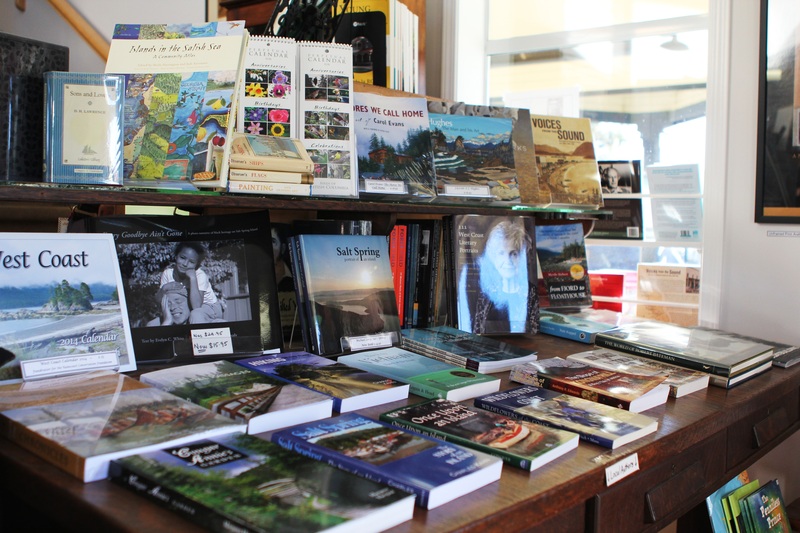 You will find lots of nautical books and British Columbia-themed guidebooks and literature, including a wide selection of Nick Bantock books ï¿½ Bantock lives on Salt Spring, which is a hub for artists, writers and creative types in general. Visiting on a weekend in the summer is a good idea as Ganges hosts a thriving market each Saturday. Location: 86 km from Munich, 674 km from Berlin. Photos of Rainer Kurz - Antiquariat by MiaLisa Begemann Foto. 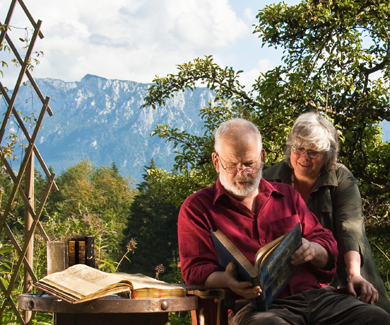 Located on a lonely hillside in Bavaria, bookseller Rainer Kurz founded his antiquarian bookselling business in 1980 in Rosenheim. 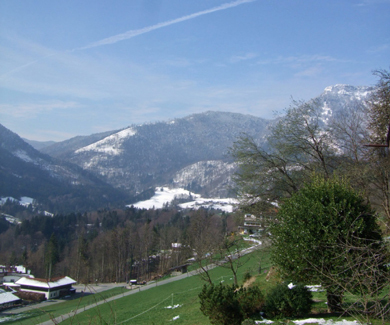 "In 1988, we moved to Oberaudorf - Watschï¿½d where you can visit us if you make an appointment," said Rainer, who has one of the best views in bookselling. "The bookshop is situated at a height of around 780 meters with a view of the valley and the Kaiser Mountains (in Austria)." You can see Rainer and Regina Kurz regularly displaying their books at German book fairs. Location: 43 miles from Boston 262 miles from New York. 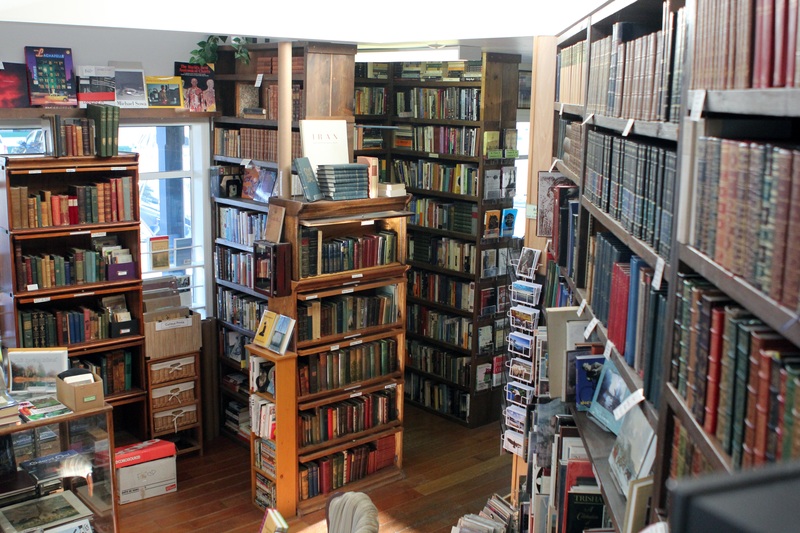 "Art Longwood Books is located in the very small town of Rockport in Cape Ann, which is actually an island, surrounded by the Atlantic Ocean and the Annisquam river," said owner Jeffrey Postel. "As Rockport is not near any Interstate Highway, it is not a place one visits on a whim. During summer, the population increases, but for much of the year - particularly the winters - it feels a little deserted. "Weï¿½re primarily focused on the visual arts, and Rockport has been an artist's colony for well over 100 years, so there is a connection. The shop is in a small cabin attached to the rear of a 160-year-old building, and could hardly be more off the beaten path." Location: 204 km from Perth, a 40-hour, 3,700-km drive from Sydney. "We are located on the Great Eastern Highway on the edge of Kellerberrin, which is a small town of 1000 people located in Western Australia's Central Wheatbelt district," said owner Nick Smiles. "Known as Keller to the locals, the town was founded around 1900 and lies on the Trans-Australian Railway, and the Great Eastern Highway, which link the capital city of Perth with the eastern goldfields and the rest of Australia. 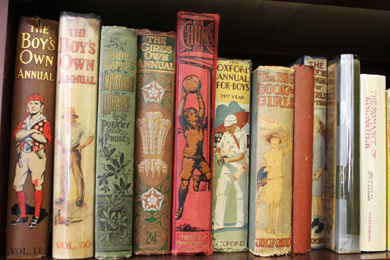 "We operate a small bookstore, specialising in collectible paperbacks, science fiction, mythology and associated topics. The town is the central point for the local grain harvest, which consists mostly of wheat, barley, oats and canola. Other local industries include horse breeding and training."